Viv Broughton has had a multi-faceted career to date. From a background in engineering, media and politics he spent 13 years as Marketing Director of The Voice newspaper group, taking the paper from its launch in 1982 to an audited weekly circulation of 56,000 copies. 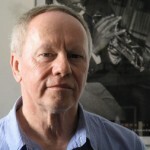 As a writer, researcher and collector, Viv has maintained a lifelong interest in music and is the author of two books, including Too Close To Heaven: The Illustrated History Of Gospel Music which was made into a critically acclaimed Channel Four documentary series and established him as one of the world’s leading experts on the subject. He is also a trustee of several other progressive charities and voluntary organisations and for many years has acted as a business consultant and mentor with the Princes Trust. Viv is currently owner and Chief Executive of The Premises, one of the most highly-regarded music studio complexes in London. He is Co-Chair at CJET. Associate professor Leah Bassel works in Leicester university’s School of Media, Communication and Sociology. She was previously a sociology lecturer at City University London and held postdoctoral research fellowships at the Refugee Studies Centre at Oxford university and with the Group for the Study of Ethnicity, Racism, Migration and Exclusion at the Institute of Sociology, Université Libre de Bruxelles, Belgium. Bi-lingual in French and English, she completed her DPhil at Oxford university where she was a Commonwealth Scholar. Leah also holds degrees in political science from McGill University, Canada. She has done emergency outreach work in Paris where she provided humanitarian assistance to asylum seekers. 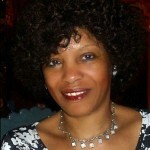 Leah authored CJET’s Media and the riots: A Call For Action report. Stephanie Hulbert-Thomas, our youngest trustee, began her professional career four years ago when she moved to London from Oxford, fresh out of University. Her expertise is in the digital sphere, particularly within the fashion industry. Digital marketing has been a key factor in Stephanie’s work, with her having gained experience on creative campaigns for a multitude of brands from social media and digital hubs to experiential events. She currently works on the brand partnerships team at ASOS for top brands, including Adidas, Levis and Tommy Hilfiger, enabling them to stand out among the other big names in the industry. Among her skills is the ability to communicate with ASOS customers effectively in order to deliver their high-level requirements.